Where do you go when you want to fish for bonefish permit and tarpon in the wintertime, and if you get sick or hurt receive free medical attention? Los Roques, Venezuela, of course! Fortunately none of our guests needed any medical attention, but free medical care is available to residents and visitors alike at the small hospital on Los Roques. Thank you Mr. Chavez! 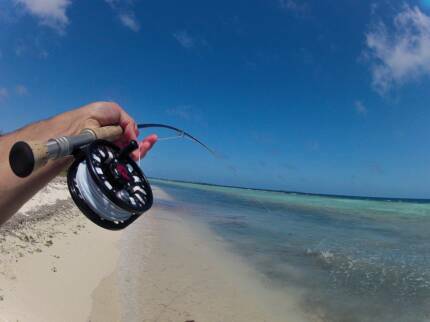 Los Roques is certainly one of the top bonefishing destinations on planet earth. 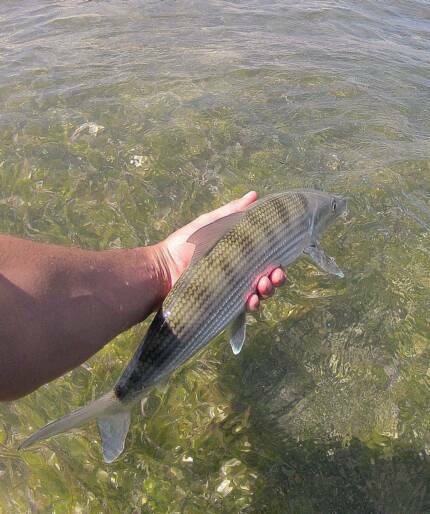 Excellent numbers of above average size bonefish inhabit the flats and beaches. Add to this a lack of sharks and very few barracuda to cull their numbers, along with a prolific amount of bait fish, and you have a recipe for high numbers of big, fat and strong bonefish. 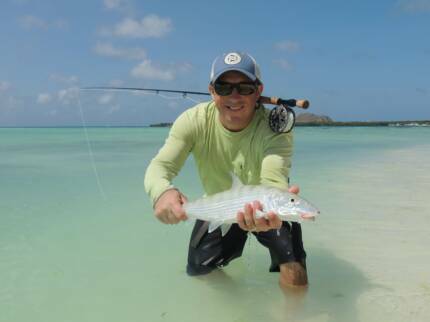 The icing on the cake is that you can consistently take these bonefish on top water minnow patterns. 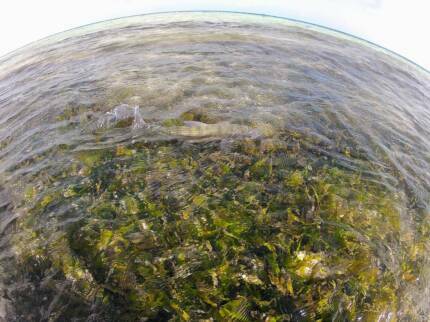 Seems the bonefish on Los Roques have learned to follow the feeding pelicans, which dive headfirst into bait balls, in the process killing or wounding the sardinas and making them easy prey for the bones. Most of these injured baitfish are floating at the surface and the bones greedily slurp them up like a large rainbow sipping mayfly spinners! In fact the two largest bonefish I caught on this trip were both taken on a floating gummy minnow! Check out the pics below of the bones coming out of the water! We also saw strong numbers of baby tarpon in the 10-50 pound range and jumped several, though none were brought to hand this trip. 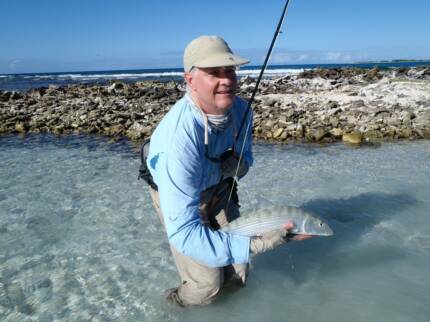 Los Roques is not generally known as a permit destination, however that seems to be changing. When we actually focused on permit we had excellent shots at tailing fish in the 20 to 30+ pound range. Several were even hooked but none landed! 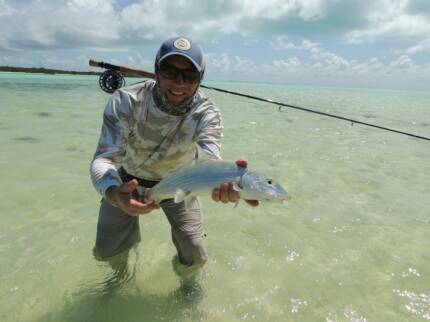 If you go and want to fish for permit, request Javier as your guide. But be forewarned, he only wants to fish for permit, and maybe tarpon on occasion, with bones being his last choice! 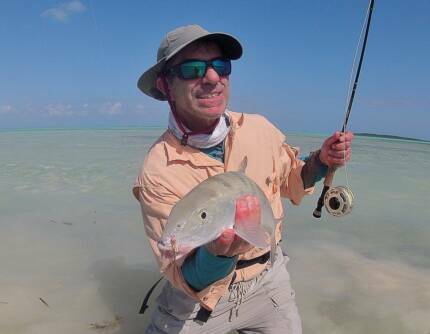 If you want to see a guide scream like a little girl, go with Javier and hook a permit! 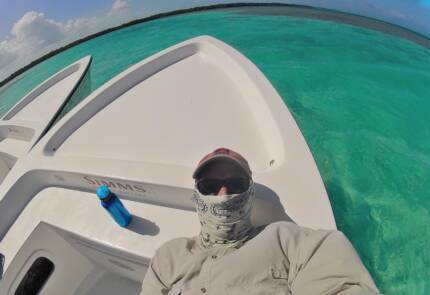 As usual, it was another great trip to Los Roques! Great, stable January weather, and a great job done by Sightcast Outfitters owner Chris and his team of guides. Posada Aquarela was our homebase. Chef Mimo is still in the kitchen preparing wonderful dishes centered around fresh local seafood. Fish, eat, drink, sleep, fish, eat, drink, sleep . . . . . . you get the idea. 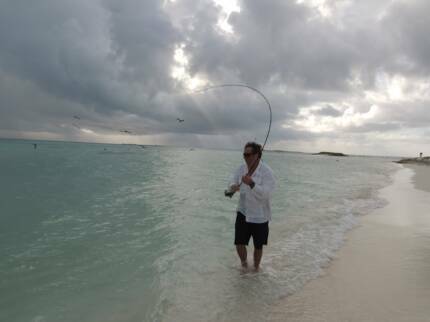 If you are a serious bonefisherman and Los Roques, Venezuela is not on your bucket list, it should be. Los Roques is not even that hard to get to. Direct flights to Caracas are offered from Atlanta Houston and JFK Airports. From Caracas it's a short 35 minute flight to Los Roques. Once on the island you simply walk from the airport to your Posada. There are no cars-- you walk wherever you need to go. Los Roques is a great winter destination unaffected by cold fronts that can adversely affect winter trips to the Bahamas, Mexico and Belize. We're returning next year for sure! !